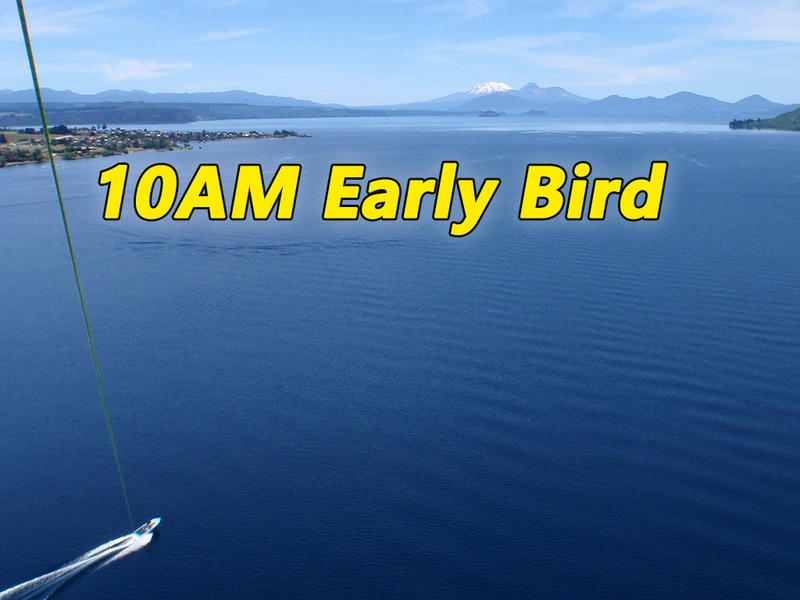 10:00 AM Early Bird Discounted Flights - "Big Sky"
1) Start your booking by first selecting the "Number of Participants". Solo flyers must choose "Single" quantity. Tandem/Triple or people flying together will choose from the "Group" quantity. Please note: People flying together must not exceed 200 kilos. If we are not able to fly everyone together we will still honor the Tandem/Triple price for all participants. 2) Next, "Choose a Date" you would like to fly. 3) Then, "Choose a Time" that you'd like to fly. If you can not find the desired Date or Time then it is not available. 4) Click on the "Book Now" button bellow. This will take you to the checkout. 5) Review your checkout cart. 6) Enter your contact details and click the "Pay Now" button. This will take you to the PayPal site for payment. If you do not have a "PayPal Account" you may choose you may choose the "Pay with Debit or Credit Card" option. You will receive an email confirming your booking. Please note: We are space limited vessel and will only take on Non Flying Observers for $30 on a first come first serve basis at the dock. Please be sure to check in with the staff when you check in 30 minutes prior to your scheduled departure time. If you'd like to purchase a "GIFT VOUCHER" please contact us at 0800-7-BIGSKY (244759). Alternatively you may come down and meet us at the boat at berth 20 in the Taupo Boat Harbour.